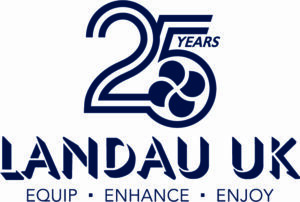 Ben Metcalfe, Chief Executive and Founder of Landau UK remarked, “We are delighted this year to be celebrating our 25th Anniversary since the formation of Landau UK and would like to thank each and every one that has been instrumental in making Landau the successful company that it is today”. Having started back in 1993 Landau UK has gone from strength to strength and has built up an enviable reputation as one of the South’s leading specialists in vessel general maintenance, upgrades and annual contract maintenance projects for commercial marine, leisure, trade, workboats and commercial passenger ships of all sizes across the UK and Europe. During The 2018 Yacht Market.com Southampton Boat Show Ben and the team will be sharing with the press and stand visitors some of the keys highlights from the past 25 years as well as giving an insight into the growth plans for the future of Landau UK. Come along to Stand E039B along the waterfront at The Yacht Market.com Southampton Boat Show to see the team from Landau UK.